As 2019 is well underway, many people start working toward upholding their resolutions for the year. These resolutions are specific to each individual and cover a range of topics, but one resolution you should consider is improving your home comfort. Dedicating yourself to a few “HVAC Resolutions” in 2019 could lead to significant improvements to your comfort, your health, and your overall happiness. In this blog, we will cover everything you can do this year that will make your HVAC experience better in 2019. It’s our hope that you’ll be able to use this checklist effectively and look back at it as one of the reasons your year was a success! One of the best things you can do for your HVAC system is invest in regular maintenance. We’ve discussed the benefits of professional HVAC maintenance before, and the list is extensive. The reason we bring it up again is that of how beneficial HVAC maintenance is to homeowners. With a little effort, you can ensure that your heating or cooling system will work effectively and efficiently throughout the year, and years to come. Whether or not you have invested in HVAC maintenance before, now is a perfect time. With the start of the new year, you can begin the routine of scheduling HVAC maintenance. A few maintenance check-ups every year can be the difference between purchasing a new HVAC system five years from now or ten years from now. So, start the tradition of taking care of your heating and cooling systems this year! Maybe you have thought about improving your energy efficiency before, but now is the perfect time to take action! 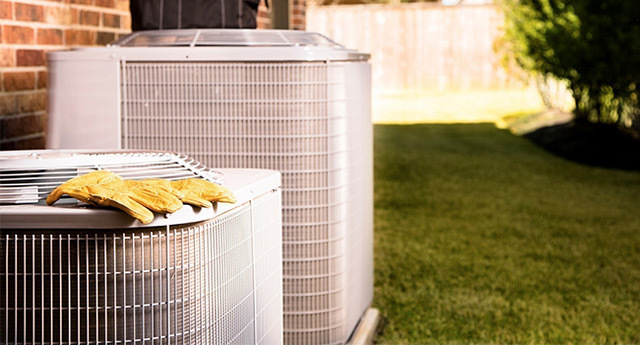 Considering how much Americans spend to power their air conditioner, your HVAC system should be a part of any effort to ‘go green!’ Thankfully, there are several things you can do around your house and some awesome HVAC products that will improve your home’s overall efficiency. At Allpro, we have a lot of energy conscious HVAC products that will immediately decrease your energy consumption. With utility bills coming in every month, energy efficiency should always be at the forefront of a homeowner. You’ll see a difference in your home, your sinuses, and your overall happiness if you follow these tips and resolve to have clean air throughout 2019! We tell homeowners they should be proactive in their home comfort. That means taking the time required to understand how your system functions when it’s working properly and learning what the signs of major problems are. When something does go wrong, you’ll have a better chance of spotting it and taking action toward stopping it! Knowing your system is the best way to know whether or not you need a new one. If the repairs increase in frequency and feel like monthly bills rather than one-time payments, then it may be time to consider a new system. A new system can be the difference between a comfortable year and a miserable one; so, make sure you take the steps required to making an informative decision.